This video gives the basic highlights of a trip to Cayo Cruz. I include information about travel, accommodations, and of course the fishing. This longer video covers in detail all aspects of a trip to Cayo Cruz. Discussed are routes for arrival, what to do for non-anglers, the accommodations, and what to expect seasonally for fishing opportunities. 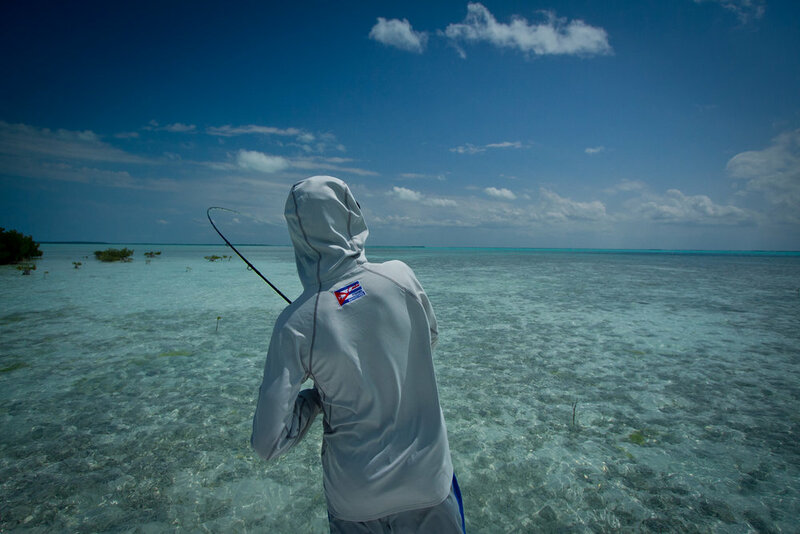 CAYO CRUZ is currently the only fishing operation Avalon operates along Cuba's north shore. Located north of Camaguey, Cayo Cruz is an island in the Jardines del Ray archipelago (Gardens of the King). Cayo Cruz is connected to the mainland by long causeways. These causeways are currently under renovation, as Cayo Cruz is planned to become a major resort destination. Fishing guests overnight in Havana, and then depart early the next morning by plane for the international airport at Cayo Coco. They are then transferred by coach to the lodgings. The fishing operation in the past used two different options for guest accommodations. The first option was to stay in a small town on the Cuban mainland which made the time to and from the marina each day fairly excessive. The outfitter would move a live-aboard yacht here in Spring and Summer, and guests could also opt to use it as a second option. All that has been under change this past two years. Resorts are under construction, and expected to open very soon, on the island of Cayo Cruz itself. This well mean that guests will stay on land, in very nice all-inclusive lodgings, similar to what is offered in both Gardens of the King and Cayo Largo. This will cut drown dramatically on the time needed each morning to get to the fishing, and be much more comfortable for guests. Cayo Cruz us unique in that it has ocean-side flats, as well as true back-country areas where anglers can wade for Bonefish and Permit. 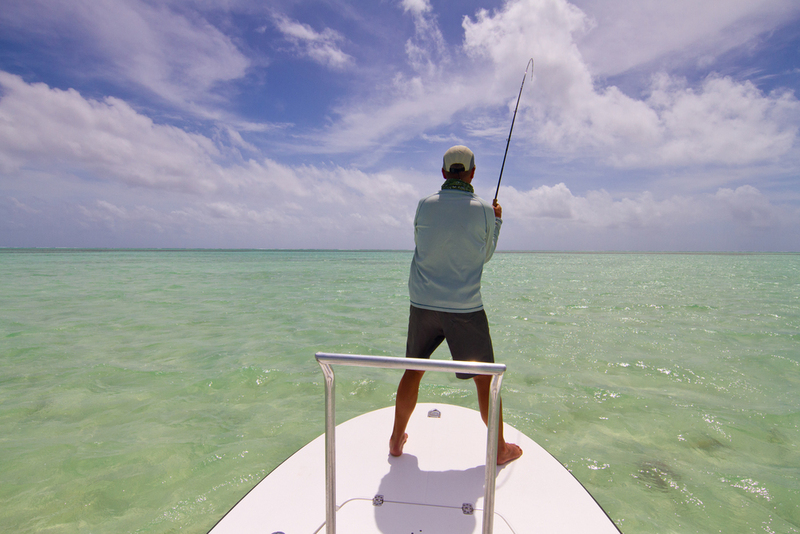 The fishing around Cayo Cruz can be exceptional. 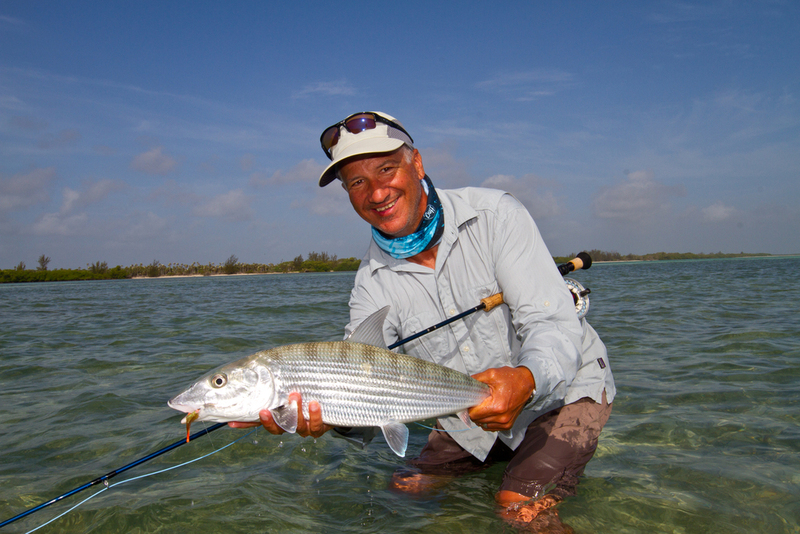 All months of the year provide great opportunities for larger than average Bonefish. These can be stalked from the boat, or while wading, and many fish are seen in the 6-7 pound range. The guides, however, are fanatical about the Permit fishing. And for good reason. With the open ocean so close to these flats, Permit can comfortably go to deep water for rest and safety, but creep back to shallow water on the tide change. Often, Permit on the flats nearer the open ocean are in the company of rays. This makes them much more willing to eat the fly. There are as well many areas on the back-country, where anglers can also find Permit. 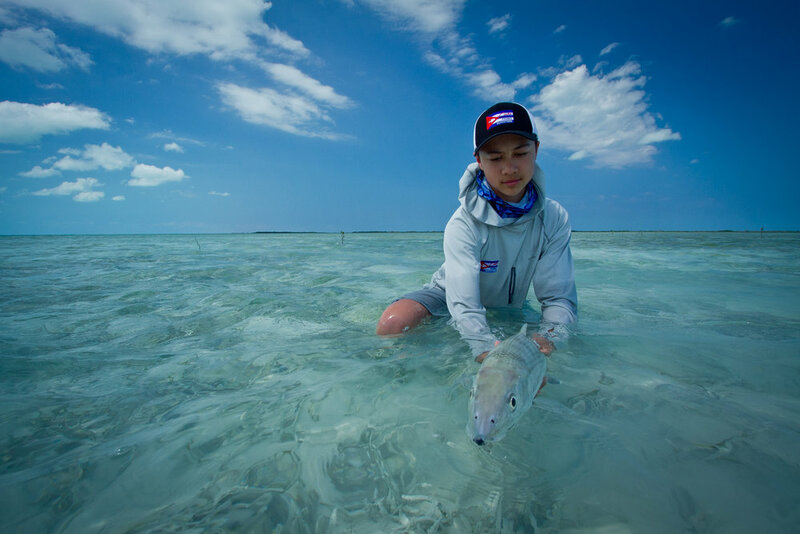 In fact, guides will often ask to carry your Permit rod while wading for Bonefish, and it is not unusual go have a shot at a Permit from your feet. 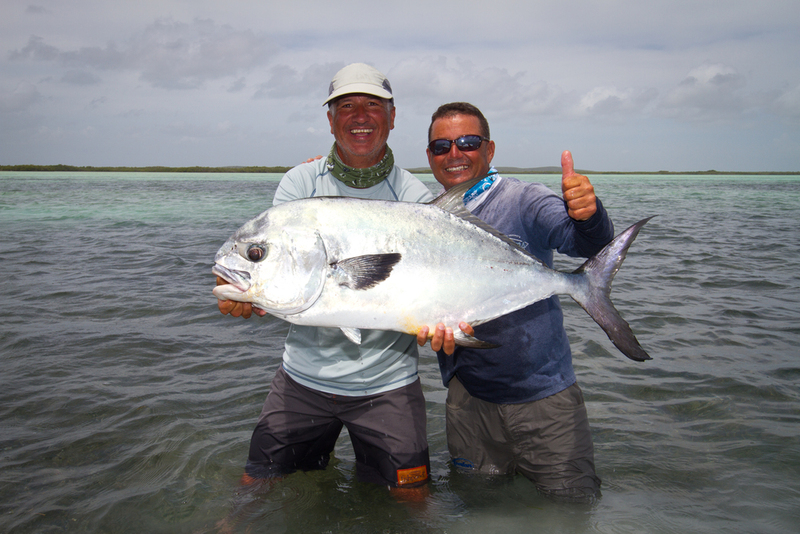 The Permit around Cayo Cruz are larger than average, most being in the 15-25 pound range. 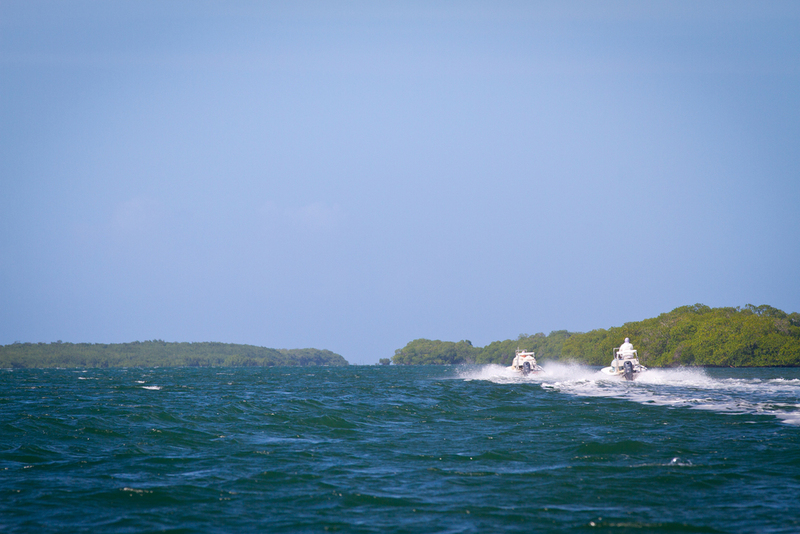 Spring and early Summer provide exciting fishing at Cayo Cruz. With Bonefish and Permit still abundant, adult Tarpon join the mix. 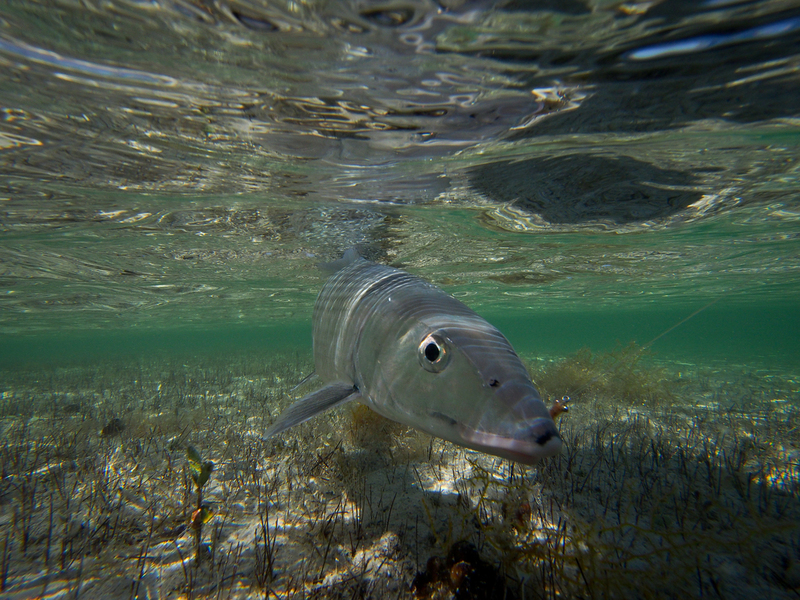 Cayo Cruz borders the deep water of the Bahamas Channel which is a major migratory pathway for adult Tarpon. Anglers will find 40-100 pound fish cruising the flats, rolling in channels, and patrolling the ocean side reefs. These are very willing fish, and provide unsurpassed fishing action.